These images may be used for editorial purposes in magazines, newspapers and online to promote “We Are Hmong Minnesota,” March 7 - Jan. 3, 2016, at the Minnesota History Center. Credit information is listed. Paj Ntaub or "Flower Cloth"
Shoua Moua (l) and Dang Her (r) with their children, Touvi and Bill (baby). 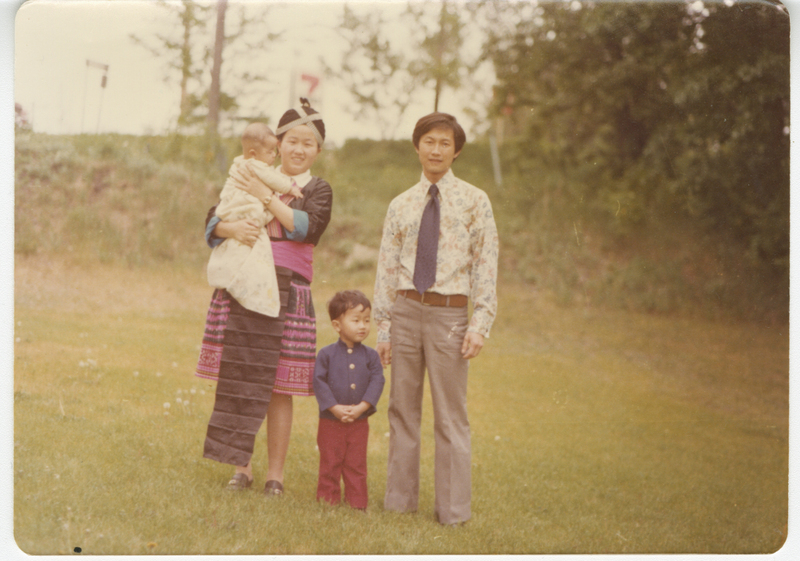 The couple arrived in Minnesota on Nov. 5, 1975, making them the first Hmong refugees following the bruatal wars in Southeast Asia. This photo was taken in 1977 in Anoka. Photo courtesy Her family.